Russia’s Audit Chamber has disclosed massive over-expenditure of budget allocations while constructing venues for Sochi Olympics. The wasteful spending of the state-run company responsible for most of construction works has reached US$506 million. 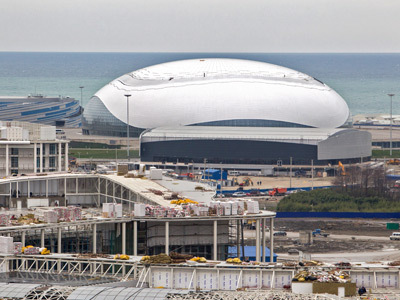 The executives of the Olympstroy Company have been systematically overstating costs which, according to the latest estimates, have reached $50 billion, making the Sochi-2014 Winter Olympic Games the most expensive ever. "An investigation has shown that corporation executives created the conditions for an unjustified increase in the estimated cost of the sports facilities checked by the Audit Chamber," the body’s report maintains. 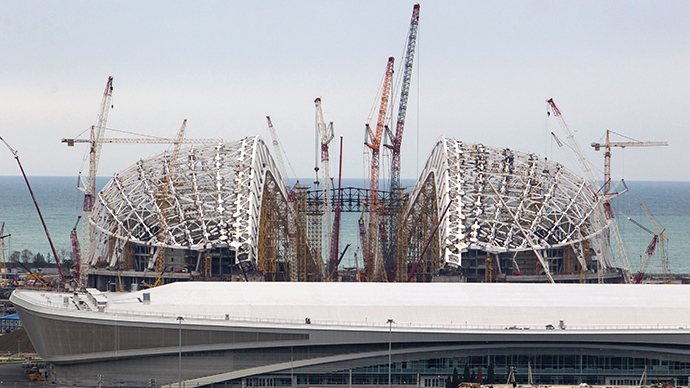 "In total, the rise in costs of the sports facilities is 15.5 billion rubles ($506 million)," it says. Olympstroy has rejected all the charges in a statement, saying there’s no proof that the company’s staff members created grounds for wasteful spending. All the construction work costs had been checked and approved by the state watchdog, the statement added. The 2012 annual report of Russia’s Audit Chamber was presented by chief auditor Sergey Stepashin to the upper house, the Federation Council, on March 6. The Olympstroy executives have been "taking decisions that increased the cost of facilities without providing any grounds for the new calculations whatsoever or presenting them without sufficient motivation,” the report stresses. Because the construction value of most of the objects has been inflated, the cost of each facility will most likely be re-evaluated. Last summer the local investigators in Sochi already initiated three criminal cases after instances of embezzlement were exposed by the state audit. “The project documentation for the sports facilities received negative conclusion of state expert appraisal,” the latest report stresses. In just one case the investigators allege that the head of the president’s office of Olympstroy, Viktor Luchinkin, embezzled 900 million rubles (nearly $30 million) by transferring budget money to accounts of companies he controlled for allegedly completed works and services, Kommersant daily reports. 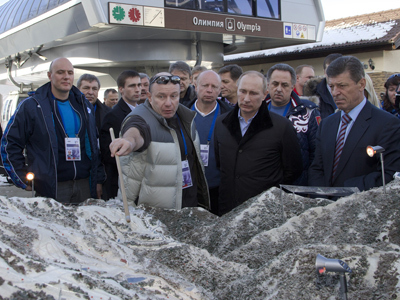 Heads began to roll on February 6 when, on an inspection of Olympic construction sites in Sochi, President Vladimir Putin learnt that in some cases the schedule of construction works has been missed by years and costs have skyrocketed. For example the construction of the RusSki Gorki ski jump facility remained unfinished two years behind schedule, its cost inflated eight-fold, from an initial 1.2 billion rubles ($40 million) to 8 billion rubles ($265 million). After that ‘revelation’, the owner of the delinquent private construction company, Akhmed Bilalov, who also occupied position of the vice-president of Russia's Olympic Committee, was fired from all state positions he occupied.